Gurugram, December 18, 2017: Nagarro is pleased to announce that Ram Reddywill be joining the company in Boston as its Chief Technology Officer, Retail and Enterprise Solutions. 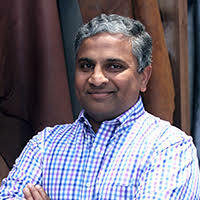 Mr. Reddy previously held the role of CIO at Rockport and before that held senior IT management positions in several other organizations including Harte Hanks, Wolverine World Wide, and Reebok. Ram brings with him extensive experience of more than 25 years spanning IT, operations, and consulting in various industries.